You’re standing outside with no keys – as you hear the car or house door close with a “thunk.” How many of us have experienced that awful moment – a situation also known as a lockout. You hope you’ve shared a key with a friend or neighbor and that they’re around. Or you hope that extra key you’ve carefully tucked away to keep it from burglars is still around and you can find it. But if you haven’t hidden a spare, or no one with a key is around, you’ll probably want a locksmith. 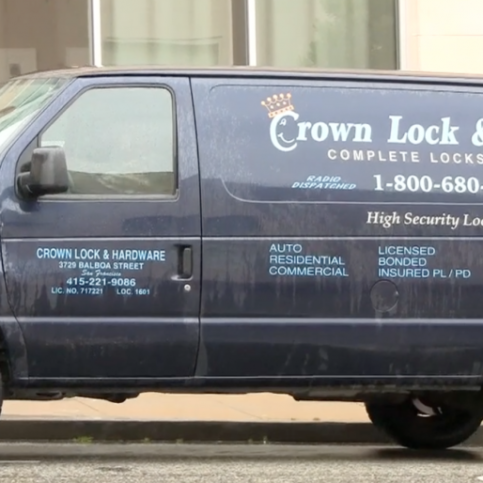 You’ll find many locksmiths, whether you’re in the Sunset District, the Richmond District, the Mission District, the Tenderloin, or Bernal Heights, or anywhere in the San Francisco area, including the Excelsior, Pacific Heights, Nob Hill, or North Beach. So, how do you actually find a good locksmith? Invest a little time and research, and you’ll discover someone you can work with as trusted partner. When you’re evaluating professionals to help around the house like gardeners, plumbers, or electricians, consider finding a locksmith at the same time. Once you’ve found a good locksmith, keep his or her contact information up-to-date and make sure you carry it with you as well as keeping it at home. Below, you’ll find some articles to help you figure out which locksmith suits you best. 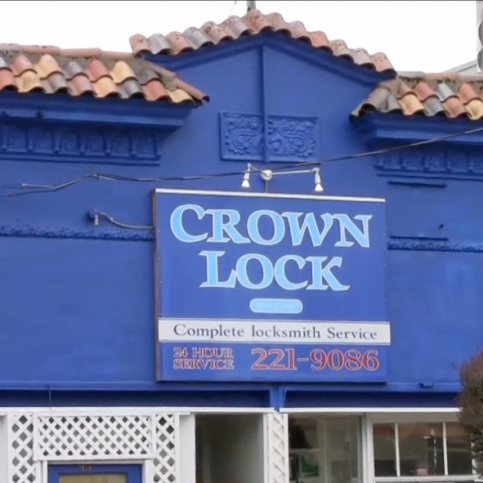 What Does a Locksmith in San Francisco Actually Do? Locksmiths are security professionals who offer multiple services – much more than you might think at first. They offer services well beyond the lockout case – when you find yourself outside, needing to get in to the vehicle or house. For residential clients, locksmiths advise on securing the home and any valuables. When you need a safe or vault, seek out a locksmith. They sell safes and other containers and often give advice on how to place and install a safe or vault. In California and other earthquake-prone areas, securely installing a safe may also require advice from construction professionals. Locksmiths can also supply hardware for panic rooms. Any resident in San Francisco – from the Sunset District, the Richmond District, or the Mission District, to the Tenderloin or Bernal Heights – can ask a locksmith about the best way to secure your house against unwanted entry. You may need something as simple as a deadbolt for the door or slightly more complex recommendations on how to protect sliding doors against burglars. If you need to provide handicapped access, a locksmith can easily remove a round, door knob, which is not disability-friendly, and replace it with a lever handle. Sometimes something happens and you want to change your locks – key loss, a break-in, a move, a divorce – be aware that you may not have to go to the expense of completely replacing your locks. Locksmiths have the training and tools to allow them to open many locks without destroying the lock. Their training allows them to work with existing locks so that the entire lock does not have to be taken out. Ask about re-keying or re-pinning your lock. These methods make physical changes to the internal workings of a lock so that the existing lock uses a new key. These techniques can be less expensive than replacing the entire lock. Of course, if a key is broken off and stuck in a lock, the entire lock or the vehicle’s ignition switch in which the key is stuck may need to be replaced. A locksmith can create duplicate or additional keys for you. Locksmiths are obviously not the only ones to make duplicate keys. However, they have significant amounts of training, usually far beyond that found in hardware stores or other places where keys are also cut. Typically in a hardware store, a key cutting machine operator lacks training and rotates through the position. Locksmiths not only offer residential services, they also offer commercial services for business operators or owners. One service that is frequently requested is access control, or taking charge of who can enter which parts of the business. For example, when you walk into a store, you sometimes hear a chime or sound. This noise is created by an annunciation device. These devices announce your entrance, alerting store personnel that they need to be aware someone is in the shop. Similarly, locksmiths can provide mirrors that reflect corners of the shop where the line of sight is otherwise blocked. Even the domes in the shop ceiling might come from a locksmith. Some owners install domes to convince potential shoplifters that there are cameras. Another typical commercial offering, this time for large buildings or large construction sites, is a master key system. In these systems, a main, or master, key opens all the doors across the building or site. Other keys for the site or building only open certain doors. The system may be designed for many different levels, so that different members have keys that open different groups of doors. A master key system can be very complex. Another system sometimes used on construction projects is one in which one key is used on the site for all doors as the construction is happening. Note that it does not have to be a single key – there may be many copies of it, but they all are the same. A second key that physically changes the lock mechanism is part of the system. Once the second key is used in a lock, the initial keys no longer open that lock, rendering all the initial keys useless. Of course, such a system requires coordination across the site. In addition to keys, access control can be regulated by sophisticated devices available from locksmiths – for example, key readers that store multiple data types, access card readers, biometric meters, and the like. Locksmiths provide and maintain both mechanical and electronic products. A deadbolt is a mechanical device. An access card reader is one kind of electronic device. Electronic devices may be of varying degrees of complexity – for example, the access card reader may even include Internet-capabilities to get software updates. Locksmiths can help those who want to exchange mechanical locks or parts of locks for electronic locks. For example, you may want to update your safe locking mechanism to an electronic control from a dial. When working with automobiles, locksmiths find themselves operating frequently in an electronic world with modern vehicles. Many auto makers deploy electronic technology in the keys or fobs that start vehicles. Keys may include a transponder that transmits information to the car’s ignition systems. If the information is incorrect, then the ignition systems do not turn the car engine over. The electronic technology in car keys is sophisticated enough to limit access to and operation of different parts of the car. For example, a valet key allows a car to run but does not allow the holder to get into the glove box or other storage spaces. Locksmiths offer two services that vehicle owners are most likely to take advantage of. When a lockout occurs, a locksmith can be a great help. If you subscribe to a roadside assistance program that provides lockout service, you should of course use that service. If you don’t have roadside assistance, call a locksmith. Police, firemen, or other emergency service personnel are often very reluctant or may even refuse to help locked out drivers except in extreme situations. This stems in part from suits against emergency services for damages. It’s easy to damage a tinted window or damage other parts of the car door while trying to open it. A locksmith has training and specialized tools that most often allow access without damage. If you ever need a spare key for the car, consider using a locksmith. A locksmith frequently charges less than a dealer would to make the same key. Locksmiths own complex machines that can create many kinds of keys, including electronically enabled keys. The machines often have software with information directly from the vehicle manufacturers that allows the locksmith to create a key that works with your vehicle. You should be aware that locksmiths cannot create keys for all vehicle brands and models. At this time, fobs are often only available from the car dealer. A fob is a device that, when you keep it near the vehicle, allows the vehicle to start and run. There are also some keys that are patented, or that carmakers are not allowing anyone else to make. It’s best to ask your locksmith if you have a special key, special fob, or any doubts about whether your key can be created at a locksmith’s. No matter where in the San Francisco Area you seek a locksmith, whether in the Sunset District, the Richmond District, the Mission District, the Tenderloin, or Bernal Heights or in smaller neighborhoods, ask to see your locksmith’s current license or proof of its existence. California mandates that all locksmiths have a license, making it one of nine states that require licenses. Holders must renew the license every two years. The Bureau of Security and Investigative Services (BSIS) within the Department of Consumer Affairs (DCA) manages the licensing program. Candidates must provide scanned fingerprints. Both the FBI and the Department of Justice review applicants’ criminal histories as part of the application process. Note that a license is not required when a person only duplicates keys. The Federal Trade Commission (FTC) is responsible for locksmiths on a national level. The FTC makes a strong recommendation that you work with local locksmiths. The FTC wants consumers to know that some firms pretend to be local but actually send all calls to national call centers. These firms have been identified as using intimidating tactics and overcharging. In California, mandatory licenses help reduce some of the concerns about such practices. You should always ask your locksmith for his or her license number. Even with a licensed locksmith, you might find that you prefer working with a local locksmith for convenience and ease of mind. So look first for a locksmith in your neighborhood of the Richmond District, the Sunset District, the Mission District, Bernal Heights, the Excelsior, Pacific Heights, Nob Hill, or North Beach. Mobile locksmiths may offer services across several neighborhoods. If you do want a mobile locksmith, check that they are licensed. The FTC recommends that you ask locksmiths for a physical address and that you verify the address is for the actual shop. This prevents companies from pretending to be local when they are not. If the locksmith is a mobile locksmith, he or she may not have a physical address or may operate out of a home, in which case they may not want to share the address. In these cases, it’s not unreasonable to realize that there is no brick and mortar location for the company. If the mobile locksmith offers a reasonable explanation for not having a physical shop, you can feel comfortable with your choice. Check out the locksmith’s vehicle when it arrives to see if it clearly displays the company name and information. In California, the vehicle often includes the locksmith’s license number in the company information. A locksmith’s vehicle often carries a great deal of equipment, since locksmiths carry around specialized tools for different situations. If the locksmith arrives in a private, unmarked vehicle, be cautious until you are certain that they are licensed professionals. Why Trust Diamond Certified Locksmiths Rated Highest in Quality? A professional locksmith opens a locked car door for a customer. 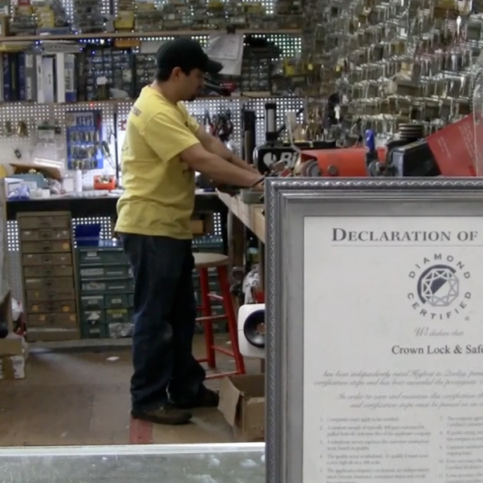 A Crown Hardware & Lock technician works inside the company’s San Francisco shop. If I am dealing with a mobile locksmith, does the company have a brick and mortar presence? Do I want to update access to make it easier for a handicapped person to enter? When planning to install a safe or vault, where do I want to place the safe? Do I need additional bracing or support? Do I want to change all the locks at my house so that I only need one key for all doors? In an emergency, am I dealing with a local locksmith? When working to install security system on a construction site, how many different kinds of access do I need? When dealing with an auto locksmith, does my car have any special kinds of keys or special security features in the keys? When working to secure a large building, how many areas do I want to restrict access to? What kinds of people will have access to those areas? I noticed that you arrived in a vehicle with no company markings and no equipment. Can you tell me why? How will do your goods and services work with the alarm company I am considering using? Do you have to coordinate with them at all? I am considering installing a safe for my papers/jewelry/cash. Can you recommend a model and placement options? It’s best to choose a Diamond Certified locksmith because all certified companies have passed an in-depth ratings process that most other companies can’t pass. If you want quality from a locksmith in San Francisco and the greater Bay Area, you can have confidence choosing a Diamond Certified company. Diamond Certified reports are available online for all certified companies. And you’ll never be fooled by fake reviews. That’s because all research is performed in live telephone interviews of actual customers. If you can’t find a Diamond Certified locksmith within reach, you’ll have to do some research on your own. If you do, it’s wise to call some references provided by your locksmith. Keep in mind, though, that references provided to you by the locksmith are not equal in value to the large random sample of customers surveyed during the Diamond Certified ratings process. That’s because references given to customers from companies are cherry-picked instead of randomly selected from all their customers. So the contractors will likely give you a few customers to call that they know are satisfied. If you worked with a locksmith on a security plan for your house, were all your concerns listened to and addressed? If you worked with the locksmith on construction site access, do you think you received sound advice about the lock system to use? If you worked with a locksmith on a large building project, do you think the project was well coordinated? Were the right keys with the right level of access provided? If it was an emergency situation, did you get timely service or were you kept waiting? If you got a duplicate key, did it work as expected? Did they offer to open a locked house door or say that they automatically had to replace the lock? Was the final price for your emergency service similar to the estimate? Or did they tack on extra charges on site to inflate the price? 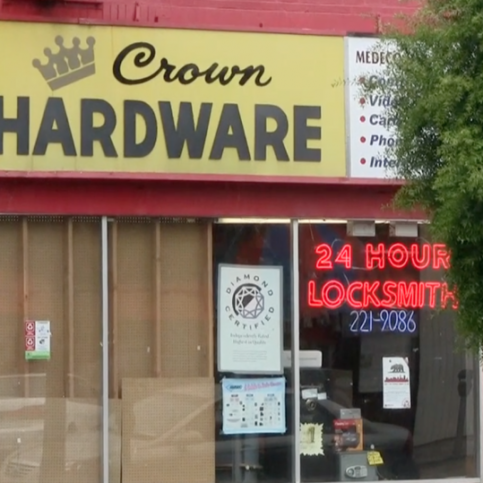 If you worked with a locksmith on a store security project, do you think the recommended approach covered the security concerns in your space? If you got a duplicate vehicle key, did it include any electronics? Did you think the price charged for the products or services was fair? Locksmiths are good for far more than responding to a lockout. It makes sense to locate a good locksmith before you find yourself in an emergency situation. Once you’ve done a bit of looking, you’ll feel confident in your choice of security professional. Locksmiths help us secure our valuable possessions and personal spaces, whether they are planning access control for a construction site, getting a broken key out of a lock, or opening a locked door. You need an experienced security professional who not only makes useful recommendations but who you can trust. Your choice of locksmith ? So before deciding on the best locksmith in San Francisco for you, it’s important to consider the following questions. 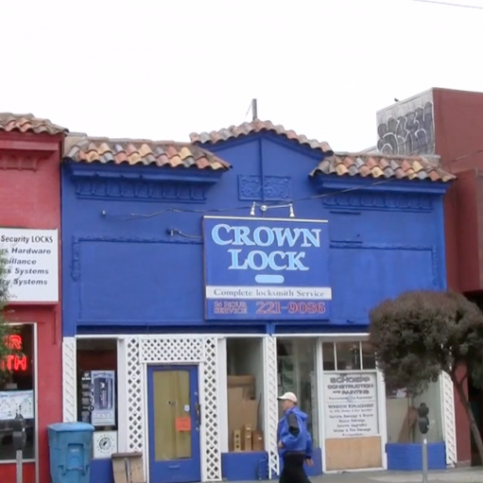 Can the San Francisco locksmith provide timely service, especially in emergency situations? Are costs communicated clearly and precisely, without your being surprised by add-on charges? Does the locksmith have the capacity to handle any special requirements you have in terms of key technology? Is the locksmith as dedicated to keeping your home, property, and valuables safe as you are? Get an estimate before a locksmith starts any job – no matter how big or small or how urgent the project is. Try to remember to ask about hidden fees. For example, does the locksmith charge mileage fees? Are there extra charges for late night or other times of day? What are the prices of the installed materials? What are the labor costs? Are there fees for removing existing hardware? Get the estimate as detailed as possible. Sign the estimate only after you are comfortable with it. You should ask to be made aware of any extra charges that come up. Never sign a blank estimate form. When you work with a locksmith, try to keep track of the project. For emergency services, most of the work will likely be performed with you on hand. You can observe the work as it happens. If additional costs come up, be sure to ask for any details before agreeing. Try to notice any damage that occurs, and take pictures if possible. Immediately alert the locksmith to the damage. Ask about the company’s insurance process. Report the damage and supporting information to the company as soon as you can. Ask how to monitor any claims you have against the locksmith’s insurance or bonding companies. For commercial projects or large home security installations that unfold over time, open and constant communication is particularly important. Establish a timeline and specify when a particular service should be complete or device installed. Notify the locksmith as soon as you see any delays. If you have problems on large projects, note the problem in as much detail as you can. Talk with your locksmith about the problem. Keep communication open with clear, detailed, and concise information to help keep larger projects on time. Try to get as much detail as possible to tell your locksmith about your current situation and what you need from the locksmith. Know what kinds of keys and locks you currently use. If you are aware that you have a special kind of vehicle key, tell your locksmith. At least know the make and model of your car when you are talking with your locksmith. When working with your locksmith on extended projects, always keep your contact information up to date for the locksmith. If you have a designee who works with the locksmith in your place, make sure the locksmith has contact information for your designee. Tell both your locksmith and your designee how long you expect it will take that designee to provide answers. Agree with your designee about what questions he or she can answer on his or her own and when he or she needs to ask you. Let your designee know how to reach you and how long you need to form a reply. How Can You Be a Good Locksmith Customer in San Francisco? It’s your locksmith’s responsibility to put in quality security products using the best possible installation techniques. But you play a big part in the success of your locksmith, too. Here are a few steps you can take to be a good customer when hiring a San Francisco locksmith. Be clear and upfront with the locksmith. Let them know what you want from your locksmith, the long-term outcome you’re expecting and specific ways they can satisfy your expectations. Before you hire a locksmith in San Francisco, restate your expectations and goals, and reiterate to the locksmith representative your understanding of the agreement. Most problems with local locksmith occur because of a breakdown in communication. By being clear about your expectations and theirs, you can avoid most conflicts. Ask your locksmith if you should call to check on the progress or if he will call you with updates. Be sure your service representative has a phone number where they can reach you at all times while they’re working. The work will move along more smoothly if your locksmith can reach you for any necessary updates, questions or work authorizations. When your contractor contacts you, return calls promptly to keep the locksmith on schedule. Pay for the locksmith’s work promptly. Why would you want to be a good customer? Locksmiths in San Francisco appreciate customers who are straightforward, honest and easy to work with. Your good customer behavior sets the tone from your end and creates an environment conducive to a good relationship. Things may very well go smoother and any problems may be more easily resolved. Check your invoice against the estimate at the end of a project. Ask about any additional charges that you were not aware of. For larger projects, verify all installed devices against the invoice to be certain they are the correct brand and model. You may or may not receive warranties depending on what your project involved. When you are working with your locksmith to decide which devices to install, consider the offered warranties as part of making your final decisions. For devices such as access card readers or biometric devices, understand what the available warranties give you and don’t give. Be sure to get all applicable warranties before the project ends. Locksmiths provide a surprisingly large array of services and consider themselves security professionals. Below are some of the most common service requests locksmiths receive. Stores often use locksmiths to provide security devices including annunciation devices that signal customers crossing thresholds, strategically placed mirrors, and security domes in the ceiling. Locksmiths can offer specific lock systems for construction sites. One common system uses a group of keys that give access across the site during construction. Once construction ends, a new key is used that triggers a change in the locks. After this new key is used, the keys used during the construction no longer work. Locksmiths provide building security from access control to exits. Access control can include devices such as access card readers or biometric devices used to monitor and control ingress. Locksmiths can also provide automatic door closers, to ensure that commercial-grade exit doors close. Round door knobs are not easily used by many handicapped persons. Locksmiths can replace round door knobs or other less user-friendly door openers in commercial or residential buildings with lever systems that are more readily accessible. Locksmiths can provide duplicate keys for vehicles, even vehicles with sophisticated electronics or other high-security keys. By supplying your locksmith with your vehicle manufacturer – BMW, GM, etc – and your car model, you can give your locksmith the information he or she needs to know if he or she can duplicate your key. Locksmiths have specialized, highly sophisticated machines to duplicate such keys. These machines include specifications directly from the car manufacturers for duplicating the keys. For commercial or construction projects, locksmiths provide master key systems, in which different keys provide varying levels of access across the site or building. As the name implies, one key or group of keys will give access to everything, while other keys or groups of keys can be limited in the access they provide. Locksmiths can provide complete home security designs, recommending appropriate locks for different kinds of access points, such as wooden doors, metal doors, windows, and sliding doors. Locksmiths install safes or vaults in the home or in commercial buildings. Be sure your locksmith advises on the best type of safe for your valuables. Other installation considerations include where the safe will be installed, any additional support required for the safe, and considerations of electronic vs. dial locks. Locksmiths can duplicate house/apartment keys for you. It’s often better to work with a locksmith to make duplicate keys. Locksmiths bring consistent training to key duplication, which is often better than service you get in other stores, where clerks generally have little experience with key cutting and may rotate often. Locksmiths also have better machines that make cleaner cuts over the long term. Locksmiths invest in key cutting machinery of all kinds and find it easier to duplicate unusual key types. Lockouts occur when someone locks themselves out of their home or vehicle. When no duplicate key is on hand or no roadside assistance program is available, you often must fall back on a locksmith to let you back in. Emergency locksmiths and 24/7 locksmiths are available but be sure that they are licensed. A reputable locksmith will quote an estimate over the phone before coming out. The world of locks and keys can be full of unfamiliar terms. The best idea is to ask your locksmith to explain thoroughly, but you may find the words below useful. Legislation requiring access for persons with disabilities. Relevant to locksmiths because traditional door knobs may not be considered compliant and would then need to be replaced. Agency that sets the standards for lock design. Also provides a ratings systems for locks. Regulating who can or cannot gain entrance to a specific area. Locksmiths provide devices that determine access control. A kind of key often used for furniture that is antique or antique in style. The barrel refers to the hole drilled in the key’s bottom. It’s a myth that all barrel keys are interchangeable. A system that uses recognition of some part of the anatomy or being to control access. For example, a biometric device may scan a fingerprint or your retina to determine if you are allowed access. A kind of key used for door locks that are antique or antique style. May be found on interior doors of older homes. It differs from the barrel key because the bit key has a little post on the end of the key that protrudes. It’s a myth that all bit keys are interchangeable. Portion of the key inserted into the lock. Key that has not yet been cut. You need to have duplicate or replacement keys cut on the correct blanks, or they will not work. Hardware or other non-specialist stores stock some key blanks, while locksmiths stock thousands of different kinds. Handle portion of the key. When you insert a key into a lock, case wards are guards that protrude on each side of the keyway that prevent the key from entering if the wrong key blank is used to create the key. A kind of small lock used for tool boxes, cabinets, and similar things. The cam is the arm on the rear of the lock that moves along with the key to lock or unlock the cabinet. A change key is part of a master lock system. The change key is the most specific key in the system and would typically open a single door. When dealing with safes or with a push-button lock, a change key could also mean a device used to change the combination. A safe designed to resist both fire and burglars. Look for labels that indicate both a burglary and fire rating to ensure your safe is a composite. A specific type of key that works to install or remove an interchangeable core. The part of the lock where the key is actually put in. When a door knob has one keyhole, there is one cylinder. Most locksmiths charge per cylinder to re-key locks. You can get the most accurate estimate of costs and time by knowing how many cylinders you have. A deadbolt can be a single or double cylinder type. For a single cylinder deadbolt, you’ll see a keyhole on the outside and a thumb-turn knob inside. A double-cylinder deadbolt has keyholes on both sides. A door that has both a door knob with a lock and a double-cylinder deadbolt would count as having three cylinders. The lockset most typically seen today. To install a cylindrical lock, the locksmith creates a large hole that goes all the way through the door. The deadbolt, key-in-knob, or key-in-lever lock can then be installed. A device that is part or all of a lock. Once the device is extended, it cannot be retracted except using the key or other method to operate the lock. Many new doors have the hole pattern pre-cut. Many of these are standard configurations and have an ANSI number. If you provide your locksmith with the ANSI number, he or she will be able to determine much of the information needed to provide the correct hardware. A device that makes a noise when a specifically-equipped door is opened. Typically, an exit alarm is used when the business must leave the door unlocked to comply with the fire code but also does not want unlimited access to the area. Refers to how long a safe or other device protects against fire. It’s important to know what you are going to store. For example, papers require at least a minimum of 1 hour, 350 degree protection. Computer storage devices or photographs will be destroyed by the time the temperature is 350 degrees. Ask for advice about the best containers for what you want to store. Labels should show ratings from Underwriter’s Laboratories or the manufacturer. A general term used to refer to making a key for a lock by any method other than duplicating the key. Required when all keys for a specific lock are lost. Locks may be designed in different ways to provide specific attributes, or functions. For example, A privacy lock typically appears on bathroom or bedroom doors. A storeroom lock always locks from the outside but is free from the inside. Knowing what you need to secure will help your locksmith make the best recommendations. A ranking set by ANSI for defining the security and durability of a device. Grade1 are the most secure and durable. Grade 2 could be considered commercial strength and used for moderately trafficked areas. Grade 3 locks are typically installed for residential use. Locksmiths can help you decide which grade to use. A high-security lock is one that uses atypical, unconventional, or patented attributes to try to deter the most common kinds of lock attacks – which are drilling and picking. High-security locks are also used by some car manufacturers. A way to create a key for a lock without taking the lock apart. A blank key is put into the lock over and over again, with the locksmith filing the key to over many tries to fit the lock. Not all types of locks can have keys created by impression. An interchangeable core refers to a part of a lock that can be removed or replaced without taking the lock apart. The interchangeable core is also called a cylinder. A control key allows the locksmith to take out one core and put another one in. A typical use of this lock system would be in college dorm rooms where residents change often. The numbers and letters that appear on some locks and sometimes on some vehicles. The code allows a locksmith to use special knowledge or tools to create a key. Used to describe locks that work with the same key. Refers to locks that need different keys to work. A lock that does not release a key until the lock is locked. The grooves or channels on a key. Different manufacturers use different keyways so that users are forced to use their own products. For example, Schlage doorknobs have a different keyway than Kwikset door knobs. Maker or repairer of locks and keys. Also offers safe and vaults. Residential locksmiths and commercial locksmiths are often available out of the same shop. Security personnel who can help you design secure access and egress from your home or business. In a master key system, one special key (or set of keys) can open every door in the system. However, each door also has its own specific key that can only open that door. This is the simplest kind of master key system. A more complicated system might include different levels of access. A typical installation might be in an apartment building, where the owner or supervisor has a master key to enter any apartment, but each apartment dweller can only open their own door with their key. A mortise lock is often considered an older kind of lock. It is characterized by having the lock installed in a cutout on the edge of the door. The cylindrical lock is now much more popular. When the keyhole is not part of the door knob or door lever itself but appears above or below the knob or lever, you are probably looking at a mortise lock. A pick is either a tool used to open a lock without the correct key, or the act of opening the lock. You should note that most states consider possessing burglary tools illegal. When a lock is rekeyed, the lock’s internal workings are adjusted so that a new key is required to operate the lock. Sometimes when a single lock is replaced, that new lock can be rekeyed to use the same key as the other locks that are already installed. A type of lock in which the installation does not require that a hole be created in the door – other than the holes used for the nails or screws. Instead, the lock is a box that is attached to the door’s surface. This is in contrast to other types of locks where a hole must be bored through the door or the door’s edge, and the lock set into that hole. When you have lost the keys to your safe, or forgotten the combination, or the lock fails, or the lock has been vandalized and you cannot open the safe by normal methods, you can call a locksmith to open, or penetrate the safe. The degree of complexity involved depends on the quality of the safe – the higher the quality, the more difficult the penetration. Check with your locksmith because not every locksmith can provide this specialized service. Some fire codes require certain doors to allow single-motion egress. Single-motion egress refers to the user being able to open a door with one action – for example, slamming a hand against a crash bar. A door where single-motion egress is mandatory could not have both a door knob and a deadbolt, since the user would have to perform two motions to open both of them. The phrase “skeleton key” is used to refer to keys of the barrel or bit type – that is keys that open antique or antique-style furniture or door locks. It’s a myth that all skeleton keys are interchangeable. The strike is a metal plate that sits on the door frame across from the lock. When the door or lock is closed or locked, the bolt or the latch part of the lock fits into the strike. The fit must be proper for the lock to operate correctly and securely. Fixing or adjusting the strike is one of jobs that locksmiths are most frequently called on to perform. Technology used to help prevent car theft. It consists of communication between the key and the vehicle’s computer. If the key and the computer exchange the correct information, the car can start. Refers to keys and locks that are circular in shape. A common example is a bicycle lock. Abbreviation for Underwriter’s Laboratory. UL provides product testing and rating. UL rates some locks – for example, for fire doors, and also provides the ratings for fire-resistive and burglar-resistive safes. A key that allows the car to operate and opens the car’s doors but does not open the trunk, or the glove box, or the console. Q: Why choose a Diamond Certified locksmith? A: Diamond Certified helps you choose a local locksmith with confidence by offering a list of top-rated local companies who have passed the country’s most in-depth rating process. Only locksmiths rated Highest in Quality earn the prestigious Diamond Certified award. Most companies can’t pass the ratings. American Ratings Corporation also monitors every Diamond Certified company with ongoing research and ratings. And your purchase is backed by the Diamond Certified Performance Guarantee. 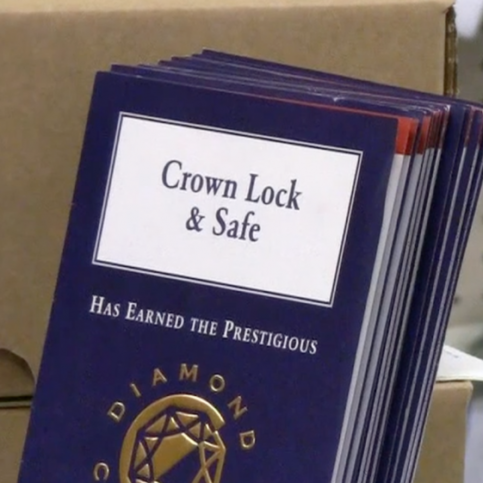 So you’ll feel confident choosing a Diamond Certified locksmith. Q: I’ve heard locksmiths don’t have to be licensed. Is that true? A: In California, all locksmiths must be licensed by the Bureau of Security and Investigative Services (BSIS). Never work with a locksmith that is not licensed. It’s a good idea to work with good locksmiths who are insured, in case any damage occurs during the locksmith’s work. For added security, look for bonded locksmiths. These are locksmiths who, often in addition to insurance, are work with a bonding company. The bonding company will also provide money to cover damage or accident situations. Q: What’s the difference between a hardware-store key and one created by a locksmith? A: If the key that comes from the hardware store works, then you are set. However, locksmiths invest a great deal of time in training. The key machine at a hardware store is often run by a clerk with little training and frequent rotations. Locksmiths use better machines than the hardware store machines, which means the locksmith’s machines cut clearer and better keys over the long term. 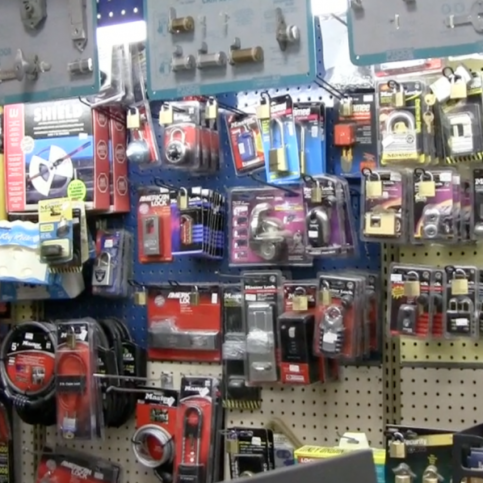 Locksmiths also tend to stock many different kinds of key blanks, while hardware stores stock a limited number. Q: I have a very sophisticated vehicle key. Can a locksmith make me a second key? A: This depends on the type of key or fob used to lock or unlock the vehicle. A small number of manufacturers are making devices that only a dealer can provide. However, you should be aware that locksmiths have very sophisticated machines to create sophisticated keys, including those with transponders and other electronics. It’s best to name your specific vehicle type and model and see if the locksmith can help you. Locksmiths often charge less than dealerships for this service. Q: I’m in the middle of a lockout. What do I absolutely have to know about a locksmith? A: Make sure that the locksmith is licensed and insured. Look for the license number on the locksmith’s vehicle or business car. Ask on the phone for an estimate including all parts and services; a reputable locksmith will not have a problem providing an estimate. Provide as much information as possible for the locksmith about the kind lock – is it a car or house lock? Are there deadbolts? Is the key broken in the lock or ignition? Once the locksmith arrives, look for a vehicle with lots of equipment and clear company markings – if the locksmith arrives in a private vehicle, ask why. Do not sign a blank work form – examine the estimate closely and ask about any possible additional fees. Q: What is a sidewinder, or laser cut key? A: On a laser cut key, the key’s cuts appear in the middle of the key blade, not on the top and bottom of the key blade. Initially, laser cut keys came with high-end cares like Mercedes and BMW. Now many manufacturers, including Audi, Saab, Honda, GM, VW, Lexus, Volvo, and Infinity use laser cut keys. Professional locksmiths can create laser cut keys for you. Q: How can I get a copy of a key marked “Do Not Duplicate”? A: Ideally, when a key is marked “Do Not Copy” or “Unlawful to Copy” or “Do Not Duplicate,” a request for duplication should be accompanied by a letter from the supervisor or owner. On company letterhead, the letter should indicate which key is being copied, how many copies should be made, who will pick up the keys, and contact information for the letter writer. Of course, you need to be aware that not all venues will honor the “Do Not Duplicate” instruction. A professional locksmith is most likely to do so. Q: Can I give you my Vehicle Identification Number (VIN) to get a key? A: Sometimes you can give your VIN number to a car dealer and get a new key for your car. This does not work with locksmiths. The VIN number does not actually include the key code, or the information needed to create a key for the car. The dealer uses the VIN number to look up the key code in their database, typically for cars less than 10 years old. The databases are often not maintained to store more than 10 years of information. Locksmiths can create or duplicate even sophisticated vehicle keys and often charge less than a dealership. Q: How much does hiring a locksmith cost? A: Of course, the answer to this question depends on what you need done and the local locksmith service that you hire, but you should always ask for estimates before any work is done, especially in lock-outs. A reputable locksmith will be upfront about costs. Be sure to ask about special charges, such as mileage or time-of-day costs. Labor and parts may be charged separately, so be sure to ask about both. When working with a locksmith around your house or business, get a good idea of what you want to secure, any special security needs such as storerooms or fire doors, before you start the project. The more information you can provide upfront, the more accurate the estimate. A trained locksmith can guide you in the selection of the right devices and products to work in your project. Q: My key is sticking in my lock. What can I do? A: As a first step, get some graphite. Spray the graphite in the keyhole and on the lock’s bolt (the part that inserts in the opening to form the lock.) Move the bolt several times to work the oil through the lock. Don’t worry about getting too much oil in the lock, but you will want to be prepared to wipe up any excess. If the problem still persists, try working the lock with the door open. If the lock works well when open, then look to see whether the door and frame are aligned correctly. Check to see if there are obstructions or warping of the door or frame. Check to see if weather stripping is blocking the alignment. Do not use petroleum-based oils or graphite on vehicle locks. For vehicle locks, try a Teflon or silicon-based product.